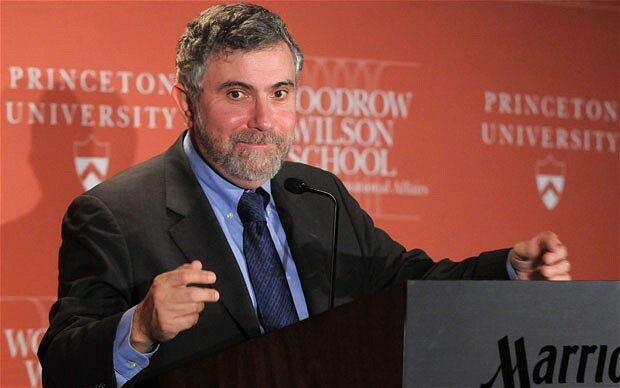 THE DAILY TELEGRAPH: Superstar economist Paul Krugman wants us to change course, but his solutions are simplistic. What does the future hold as Europe slides, ever more hopelessly, towards the abyss? As David Cameron has pointed out, there have been 18 EU summits since he became Prime Minister little more than two years ago, and none of them has produced anything remotely resembling a solution. The stand-off got a whole lot worse this week. France and Germany are now in open conflict over the way forward, if indeed there is one. For the UK, already bleeding badly from the after-effects of the financial crisis, the situation could scarcely look more threatening. The fiscal consolidation chosen by the Coalition was always likely to have a negative impact on output, at least in the short term. To make it work, the Government needed the following wind of decent growth elsewhere in the world economy. Instead, it’s facing a hurricane. We look set to be broken by the storm.